For more than a century many Australians have argued that the nation’s involvement in military campaigns abroad was the primary determinant of their national identity. At the same time, another body of opinion has strongly disputed the claim. General Brereton will discuss the influence of military campaigns, before and after Gallipoli, on the emergence and development of Australia’s national identity. 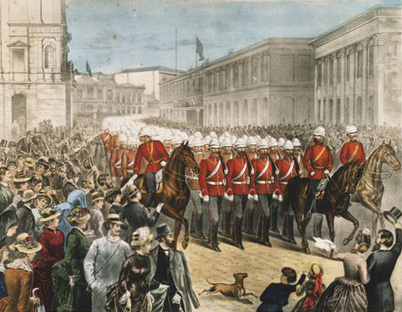 Beginning with the Soudan campaign of 1885, when Australian soldiers first departed for a distant war, and traversing the Boer War, the Gallipoli, Western Front and Palestine campaigns of WW1, and the North African and South West Pacific campaigns of WW2, he will consider both the supportive and the polemical points of view. From Soudan to the South West Pacific.